Reasons she’s awesome: A small town girl with big dreams, Loretta grew up to be a badass not only on the country music scene but also as a woman in general. Her life started traditionally enough: marriage, four kids, all by the age of 20, mind you. But it wasn’t until she’d moved to Washington state with her young brood and her hubby, moonshine runner Oliver “Doolittle” Lynn, bought her a $17 Harmony guitar that she decided to pursue a music career. She cut her first single in February 1960, and she and her family hoofed it to radio stations trying to get them to play her song “I’m a Honky Tonk Girl.” Hard work paid off, the single became a small hit, and she was signed by Decca Records. Loretta and her family moved to that country music mecca, Nashville, and her career started to take off. 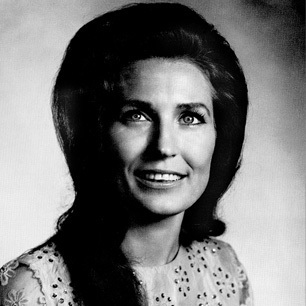 She had her breakthrough in 1967 with “Don’t Come Home A’ Drinkin’, (With Lovin’ On Your Mind).” The album went to number one and became one of the first female country albums to sell over 500,000 copies. She had consistent hits throughout the sixties and seventies, including a few hit duets with Conway Twitty and a tribute album to her friend and mentor Patsy Cline. In 1976, she published an autobiography, “Coal Miner’s Daughter,” which chronicled her childhood in Butcher Hollow and her rocky relationship with her husband. Four years later, it was immortalized on the silver screen in an adaptation starring Sissy Spacek and Tommy Lee Jones. Spacek won an Oscar for her portrayal of Loretta, and the film hit number one at the box office. Her popularity faded in the eighties as country music moved more towards what we know it as today. Loretta cut down on her public appearances after the loss of her oldest son in 1984 (he drowned on the family’s property at the age of 34), and as her husband’s fragile health continued to decline. However, she continued to make music. Her 1988 album Who Was That Stranger was her last solo album for a major label. She was inducted into the Country Music Hall of Fame that same year. In 2000, Loretta released Still Country, after which she struck up an unlikely friendship with Jack White. She performed with the White Stripes in 2003, and White produced her 2004 album Van Lear Rose. The album was her most successful in several years and won a Grammy Award for Best Country Album. Loretta is famous for her music, and rightfully so: Girl has won four Grammy’s, written over 160 songs, released 60 albums, and sold 45 million records. But she is also awesome for her refusal to shy away from controversial subject matter. While today we tend to think of country music as odes to pick-up trucks and girls in jorts, Loretta was a song-writing badass, and her songs tackled everything from growing up poor in rural Kentucky (“Coal Miner’s Daughter”) to the Vietnam war (“Dear Uncle Sam”), the double standards faced by divorced women (“Rated X”), and the rise of female sexuality and birth control (“The Pill”). 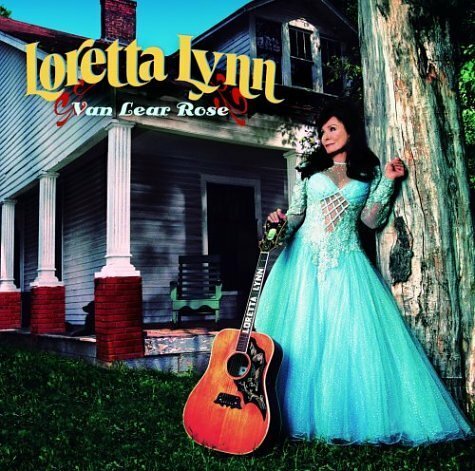 Though she hasn’t released any new albums since 2004, the past few years have been littered with accolades honoring of Loretta’s contributions to the American music landscape. In 2010, Sony Music released a tribute album in her honor, for which Loretta re-recorded “Coal Miner’s Daughter” with Miranda Lambert and Sheryl Crow. She received a Grammy Lifetime Achievement Award in 2010, and in 2013 President Barack Obama awarded her the Presidential Medal of Freedom. At 82, Loretta Lynn continues to tour and perform.